Arms: Azure, a chevron engrailed between two lions passant in chief and a star of eight points in base or. Crest: A lion, sejant, or, collared azure, supporting in the dexter paw a lance, erect proper, and suspended therefrom by a chain, gold, an escocheon, also azure, charged with a star, as in the arms. Supporters: Dexter, Faith holding in the sinister hand a mullet of six points or; sinister, Hope holding in the dexter hand a like mullet. 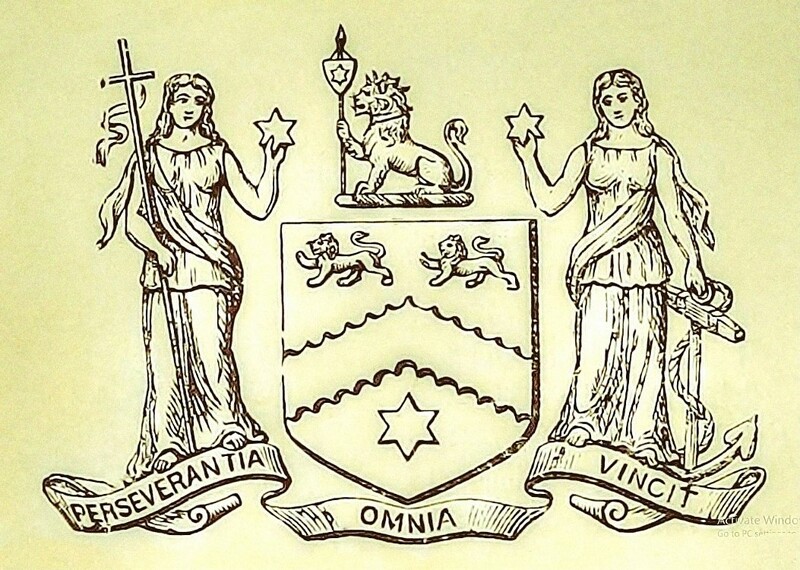 Motto: Perseverantia omnia vincit (Perseverance conquers all things).